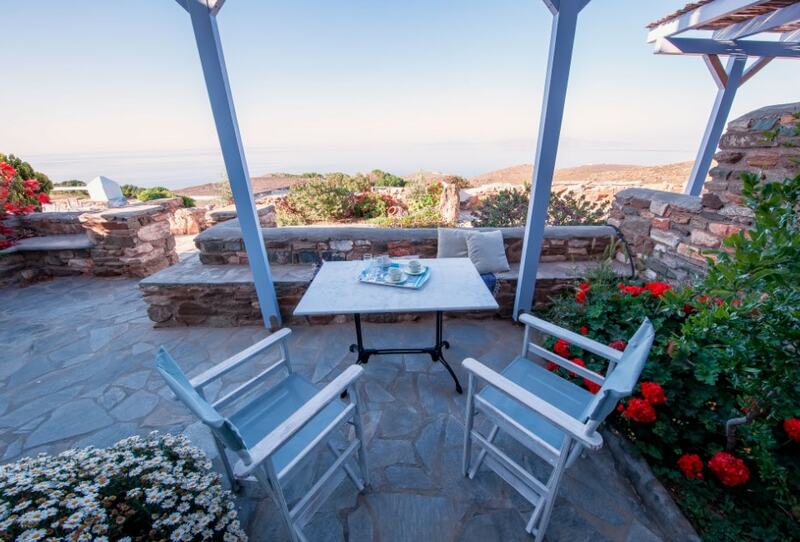 Tinos has been named as the “handmade island”, due to its rich history in tradition and arts, with the focal point being not only the sea, but the land as well that has been worked for hundreds of years. This tradition is being retained through the unspoiled villages, the numerous chapels and churches, the featured dove cots, all scattered around the island. 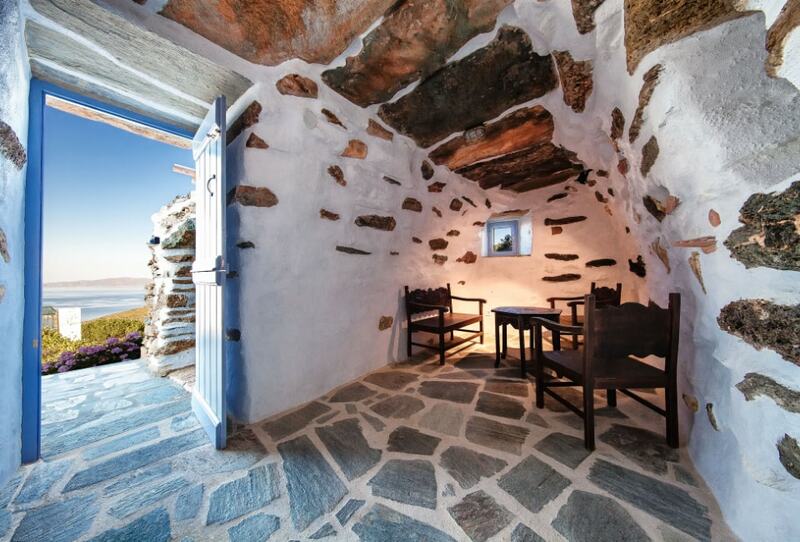 Castria studios consist of five studio/apartments at the top of a hill, just outside the downtown of Tinos, from where they gaze upon the Aegean Sea and the island scenery. 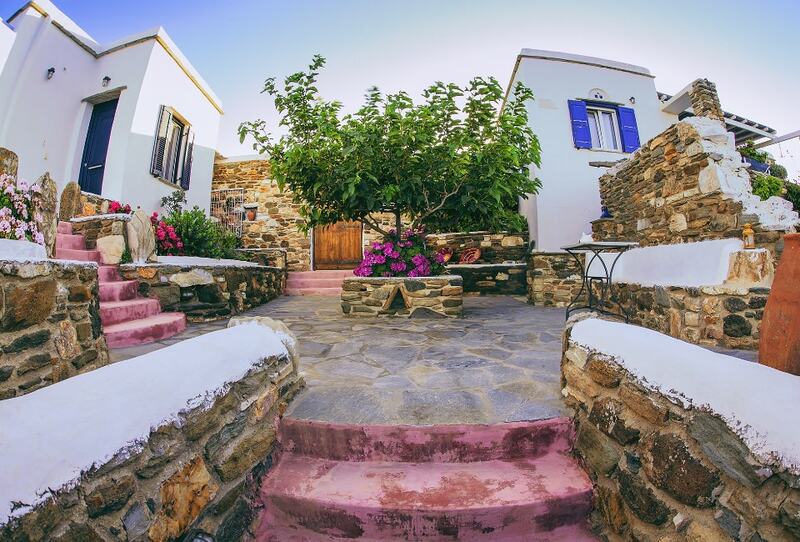 Each one of the studios has its own personal style and character, with different colors, artistic decoration, unique handmade furniture and antiques, wall paintings, as well as a fully equipped kitchen and bathroom for an enjoyable and comfortable stay. Studio for two or three people with red themed character. 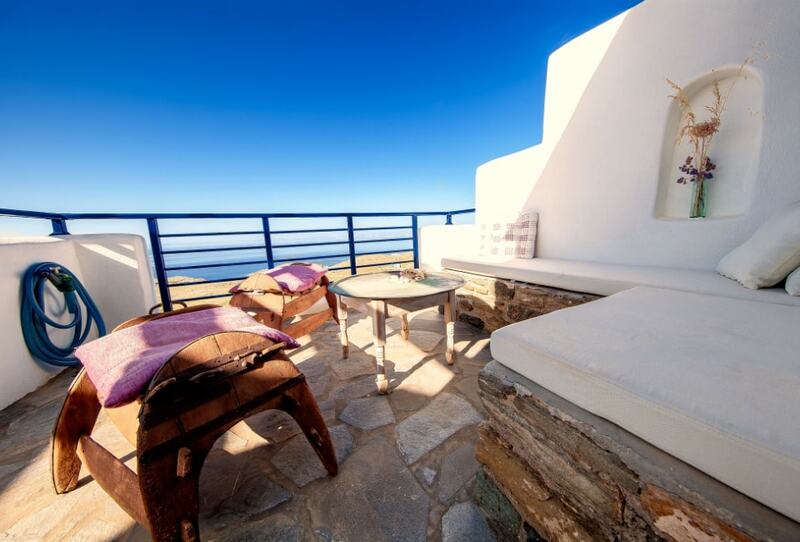 Studio for two or three people with traditional decoration. 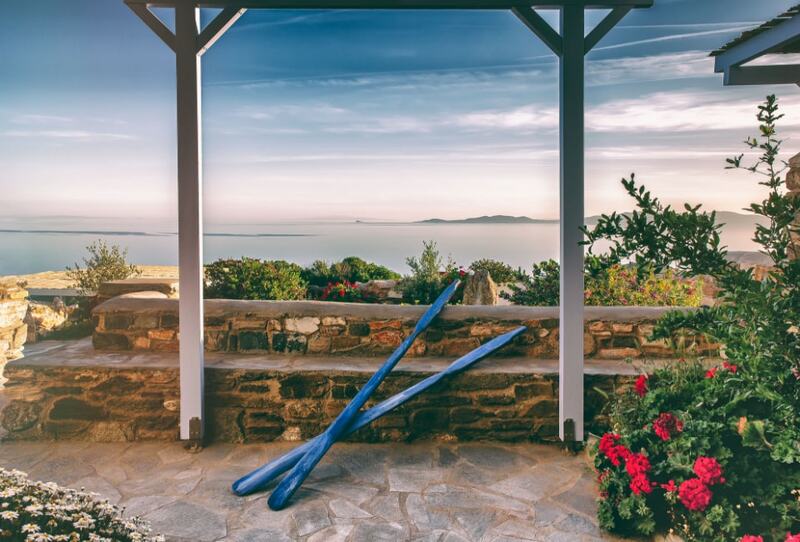 Studio for two, dressed in shades of blue. Studio for two, dressed in shades of green. Studio for two in ochre & ethnic style.